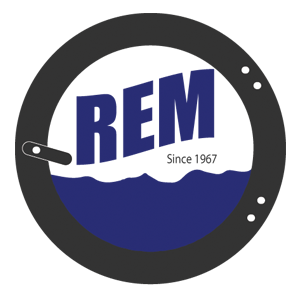 Chicago Ironers – REM Company INC.
Every day, Chicago ironers remove more water from more pounds of wet linen around the world than any other commercial ironing equipment. Chicago offers the world’s widest range of gas, thermal fluid, steam, and electrically heated commercial ironers in many different roll diameters and lengths to produce as much as 2,200 pounds of finished linen per hour, as well as compact models with capacities of 175 pounds per hour. Chicago’s commercial ironing equipment has redefined temperature control. 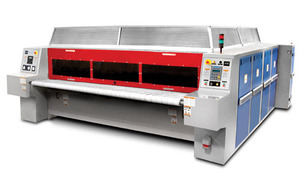 Our gas heated ironers, with patented Eagle Eye® touchless temperature system, eliminates mechanical contact shoes, high temperature limit switches and temperature fluctuations due to excessive wear or lint/wax buildup. Precise burner control and quicker response time mean greater efficiency. This increased performance, reliability, and efficiency brings gas heated ironing to a wide range of users with high production rates previously attainable only by multi-roll steam or thermal fluid commercial ironers. Because no external boiler or heater is required, you’ll see substantial savings in floor space, capital investment, stationary engineer, utility, and operating costs. All Comet, Laser, and Imperial cylinder ironers, as well as Century deep chest steam heated ironers are ETL or ASME certified to provide consistent ironing temperature and compliance with local code and insurance regulations. Thermal fluid models are available for high production users who prefer this heating method. Thermal fluid may be heated by traditional external boiler or, for maximum output and utility conservation, by the on-board self-contained heater unit on Chicago Powerhouse deep chest ironers. Smaller commercial ironers are available in electrically heated models for use where electricity is the best local energy source.